The National Portrait Gallery has such an important collection of sixteenth-century portraits that a whole gallery, known as The Tudor Gallery, is devoted to them. There is the 'Ditchley' portrait of Elizabeth I, as well as the Gallery's first ever acquisition, a portrait of William Shakespeare. Early portrait miniatures include Nicholas Hilliard's earliest portrait of Elizabeth I, painted in 1572, showing the queen bedecked with jewels and flowers. 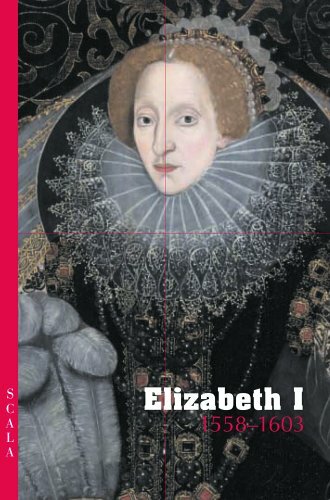 Drawing on these marvellous images, Scala, in association with the National Portrait Gallery's Education Department, are proud to present this innovative and imaginative approach to a popular era in English history. Using the popular 4-Fold format with eight fold-outs opening horizontally and vertically, a lively and informative text written by experts at the Gallery and the best illustrations available, this book will engage and stimulate both young readers and anyone wanting a concise, intelligent and refreshing summary of Elizabethan times.